Welcome to Craig's Farrier Service! With over 30 years of experience we are determined to bring you the absolute best in hoof care at Craig’s Farrier Service. Whether you have a performance horse, a miniature pony, donkey or mule you want a farrier who will listen to you and work with you. You want a farrier you can trust. 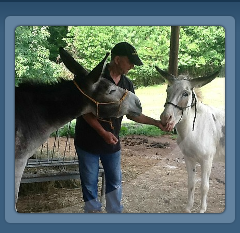 Owner Craig Horvath began an apprenticeship in shoeing horses when he was 17. Following in the footsteps of his Father (another farrier with 35 years of experience) he underwent 6 years of apprenticeship at Calder Racetrack in Miami FL. 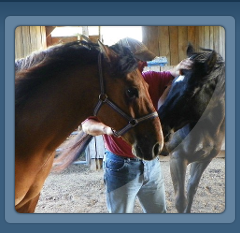 Craig learned all methods of hot and cold shoeing, corrective shoeing, overall hoof care and preventative maintenance. Upon completion of the apprenticeship, Craig was certified with the State of Florida and the IJHU (International Chapter of Journeyman Horseshoers). Craig spent considerable time at the Gulfstream and Hialeah racetracks in Florida as well. Since moving to North Carolina 7 years ago, he has built a reputation of excellence and dependability among his clients. Our current service areas include Wake, Durham, Franklin, Johnston, Orange, Chatham and Granville counties. Please visit our website for more information and we thank you for your interest. 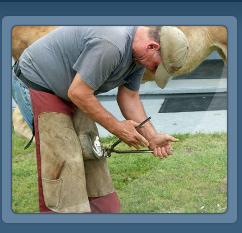 You can trust the experience and dependability of Craig's Farrier Service to ensure the best care for your equine. 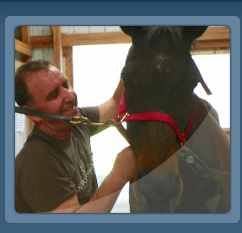 I’ve been shoeing horses for over 35 years and will bring you the absolute best in hoof care. I began an apprenticeship in shoeing horses when I was 17. Following in the footsteps of my Dad (another farrier with 35 years of experience) I underwent 6 years of apprenticeship at Calder Racetrack in Miami FL. I learned all methods of hot and cold shoeing, corrective shoeing, overall hoof care and preventative maintenance. Upon completion of the apprenticeship, I was certified with the State of Florida and the IJHU (International Chapter of Journeyman Horseshoers). I spent considerable time at the Gulfstream and Hialeah racetracks in Florida as well. Since moving to North Carolina 8 years ago, I’ve built a reputation of excellence and dependability among my clients. You can trust the experience, honesty, outstanding quality and dependability of Craig's Farrier Service to ensure the best care for your equine. Please explore the rest of the website for more information regarding my services, and I thank you for your interest.